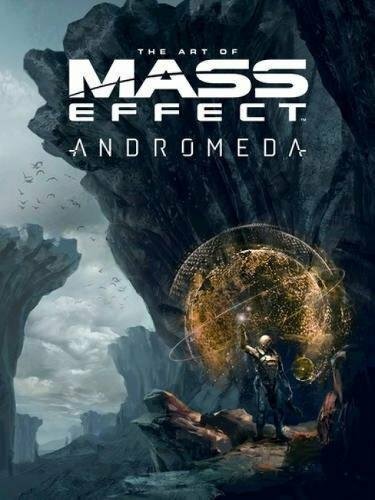 Not all Mass Effect games have artbooks so it's great to have one for the latest one in the series, Mass Effect: Andromeda. The other two that I have are The Art of Mass Effect (2007) and The Art of Mass Effect Universe. It's great to see that the artworks are even more refined and polished. This 184-page hardcover collects the concept art. There aren't many sketches. Most are highly detailed and fully realised pieces of art. As with most sci fi shooter game artbooks, there are designs for the characters, creatures, weapons, vehicles and environment. This book features a lot of character and creature designs, as well as environment art. What's lacking are the vehicles, spaceships and space stations. There are only a handful pages for those. Character designs are pretty standard, very Mass Effect-ish. The costumes and space suits look good. Highlight for the book would be the environment artworks. They are so beautiful. There's this sense of feeling of exploration as I look at the serene, exotic or vast landscapes of other planets. These artworks are really detailed and look very realistic. There are occasionally commentary on the pages that talk about the designs, but not on all pages. The text are brief. The art does all the work. It's a fantastic book for fans of Mass Effect and sci fi art. It's well worth the price.